Once a month or so, Don Gifford, social studies consultant at the Kansas Department of Education, shoots out an email with all sorts of updates, resources, and learning opportunities. Pick and choose what best fits your needs! 1. Start by heading to this Google Doc with all sorts of professional learning opportunities. Contact Tom Vontz tvontz@ksu.edu or 785-532-5927 for more information or to sign up. Join the Kansas City Federal Reserve as we take a fresh look at a variety of issues that affect the financial wellness of LMI communities, including health, housing, jobs, education and consumer finance. We will explore unique approaches to issues that continue to affect the financial resiliency and mobility of LMI households. Looking for help teaching history with primary sources? Want to take a field trip but don’t have the budget? IKE—the Interactive Kansas Educator– can help with both of these problems. The Kansas Museum of History is now offering virtual tours of the museum and collection storage. To learn more, watch the short video at http://www.kshs.org/19206. When asked what a class of fourth graders thought about IKE, here is what they said: learned lots of new stuff, loved trying something new for a field trip, creativity of the museum, seeing all the different things, and loved not having to ride on the bumpy bus to get to Topeka! For more information or to schedule your tour, call Joy at the Museum at 785-272-8681, ext. 415. “What’s Cooking, Uncle Sam? The Government’s Effect on the American Diet” is a special exhibit at the Kansas Museum of History in Topeka. Created by the National Archives, it includes documents, photographs, and artifacts from their collection. The traveling exhibit addresses everything from the government’s influence on farm crops, health and safety in food production, nutrition guides over the past 100 years, and favorite recipes of U.S. Presidents. It will be on display until May 1, 2016. 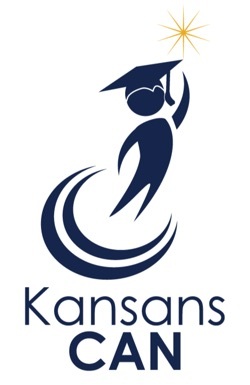 A lesson plan for students in grades 7 to 12 is available on the Kansas Historical Society’s website,http://www.kshs.org/p/lesson-plans/18960. As the title explains, the lesson plan focuses on “Upton Sinclair and the Federal Meat Inspection Act of 1906.” Students will analyze primary sources (newspaper accounts, political cartoons, and government reports) which explore the controversy caused by Sinclair’s novel, The Jungle and the reaction of President Roosevelt, the packing plants, foreign nations and the U.S. government. Congress established May 1 as the official Law Day in 1966 but it was President Dwight D. Eisenhower who proclaimed the day in 1958 to honor the role of law in the creation of the United States of America. This year’s Law Day theme is “Miranda: More than Words” to mark the 50th anniversary of the landmark U.S. Supreme Court decision in Miranda v. Arizona. The Law Related Education Committee at the Kansas Bar Association has resources to assist the public in learning more about Miranda v. Arizona and the procedures for ensuring justice. Resources include the March issue of Law Wise, a publication designed for educators and students that includes an overview and lesson plans. This issue also features comments from bar leaders about the importance of the Miranda decision. This free resource is available in hard copy and online. Kansas Bar Association members are available to speak on or around Law Day in classrooms or to organizations. In addition, KBA members are available to speak during Celebrate Freedom Week and Constitution Day in September. iCivics is a non-profit organization dedicated to reinvigorating civic learning through interactive and engaging learning resources. Our educational resources empower teachers and prepare the next generation of students to become knowledgeable and engaged citizens. A growing base of more than 100,000 educators and 3 million students relies on iCivics to provide a high quality civics curriculum each year. iCivics games have been played more than ten million times by students across the country. iCivics supports individual, small group, and whole-class learning across a variety of settings. With a mix of readings, activities, discussions and games, our resources introduce and explain complex concepts. Drafting Board offers students the opportunity to learn and develop argumentative writing skills in a scaffolded digital environment. Be sure to join us June 14th-15th Middle and high school teachers are encouraged to apply today for the 2016 Financial Fitness Extravaganza (FFE) if you are responsible for teaching personal finance next year. The event will is scheduled for June 14-15, 2016 at Wichita State University Rhatigan Student Center. There is no cost to attend and resources are free thanks to the Fred & Mary Koch Foundation. Join us to receive all the resources you need for teaching personal finance along with gaining updates from professionals in the field. New speakers and resources are added each year so plan to join us even if you have attended an FFE in the past. Coming from out of town? Rooms have been reserved in the new Shocker Hall Dorm with housing scholarships available. Looking for graduate credit? One graduate credit is optional from ESU, FHSU, KSU or WSU with partial to full scholarships. Click on the events tab at www.kcee.wichita.edu to view details and apply online. Contact Angela Howdeshell with questions at KCEE@wichita.edu or 316-978-5183. Get the KCEE Newsletter here. HSTRY was named as one of the “Best Websites for Teaching & Learning” that foster the qualities of innovation, creativity, active participation and collaboration for students across all grade levels. The Center for Latin American and Caribbean Studies has received a grant from the National Endowment from the Humanities (NEH) to produce public programming in connection with the 2013 PBS documentary Latino Americans: 500 Years of History during the month of April, 2016. In partnership with KU´s Libraries, the Tonantzin Society of Topeka and the Lawrence Public Library, CLACS will organize a number of public events including screenings of episodes of the documentary followed by discussion with leading scholars; a workshop for K-12 teachers; an exhibit on Latina/o history in Kansas at Watson Library; and public lectures by noted scholars Yajaira Padilla and Jeanette Rodríguez. The events will highlight the contributions of women and the importance of religion in Kansas Latina/o communities, with particular focus on the figure of the Virgin of Guadalupe. All events and exhibits will be free and open to the public.